Game developer Atlus is bringing PlayStation 1 role-playing game Persona 2: Innocent Sin back for the PSP 11 years after its original release. As noted by website Siliconera, one big gameplay change is the ability to see the demons' emotions. This, it seems, will simplify in-game negotiation. Macross Frontier anime studio Satelight will handle the game's new opening, but Atlus is also including the original opener, too. There were plans to include the entire original game, but those plans were shelved as it's impossible for UMD. Persona 2: Innocent Sin will feature PSP-style widescreen support to make maps and menus easier to navigate. 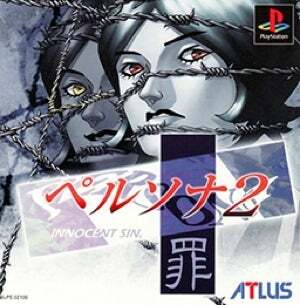 Persona 2 was released in two versions: Innocent Sin and Eternal Punishment. While Eternal Punishment was released in North America in 2000, Innocent was not. No word whether this remake will be released in the West.